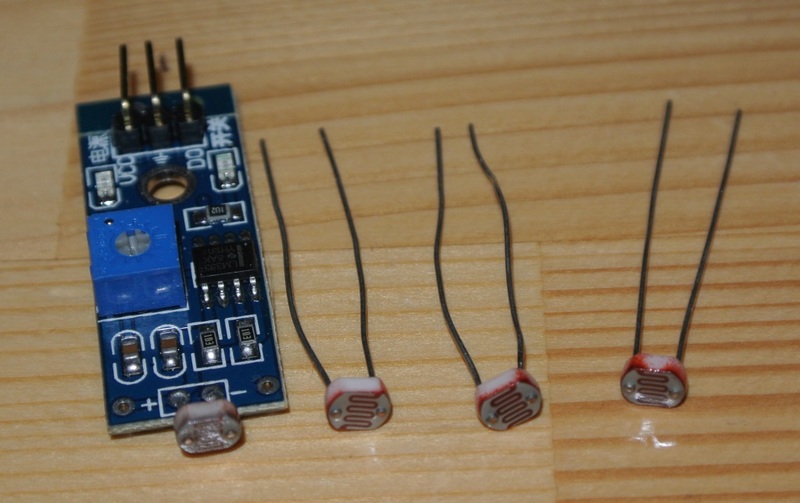 CdS photoresistors (also called photocells sometimes) are an inexpensive type of light sensors. They find their use in light detecting sensors (daylight switches, light meters) and also in some music equipment (eg. noiseless faders and also some guitar effects). Due to its slow response this type of photoresistor can’t be used to detect very fast light changes, but for some applications this may actually be an advantage. 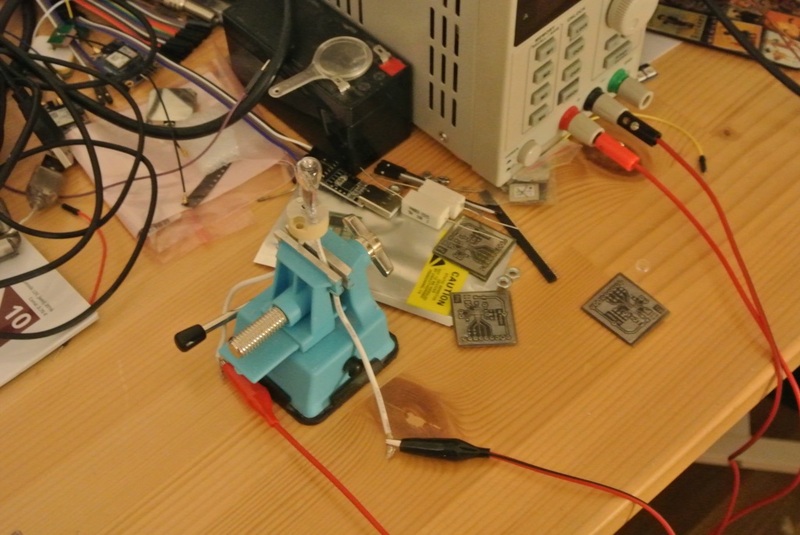 So I decided to create a very simple fixture for measuring and matching the photocells. 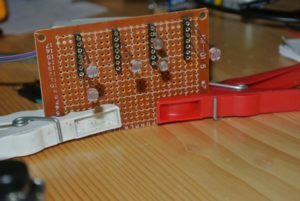 A small protoboard was soldered with a few socket strips. 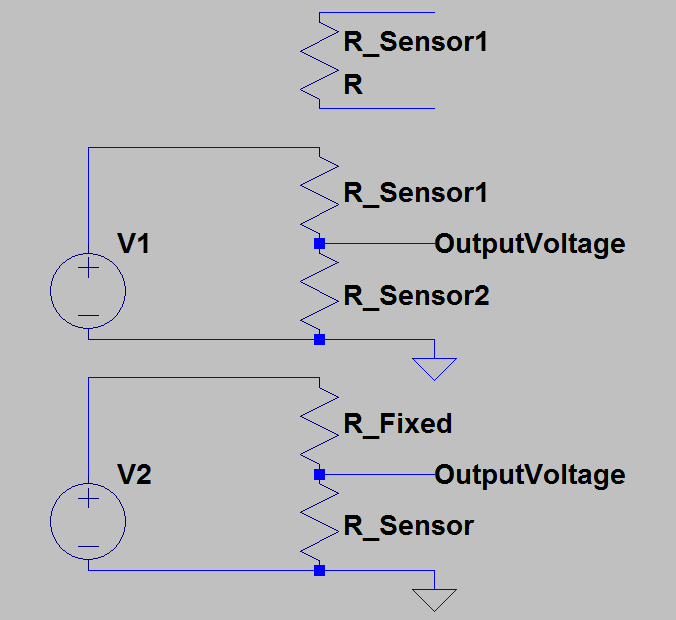 The fixture was configured so it could be used for measuring resistance of the sensors directly and also to measure a sensor + resisor combo or a balance between two sensors. 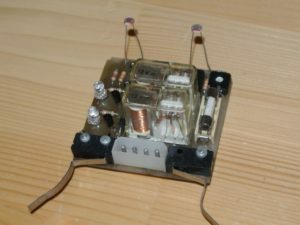 A lab power supply was used to power a halogen lamp (I think that incandescent may actually be better) which provided illumination to the sensors being measured. The sensors were aligned with the lamp and the distance between the lamp and the sensors was noted. Voltage on the PSU was set, voltage and current on the lamp were measured and resistance of each of the photosensors in the fixture was measured. 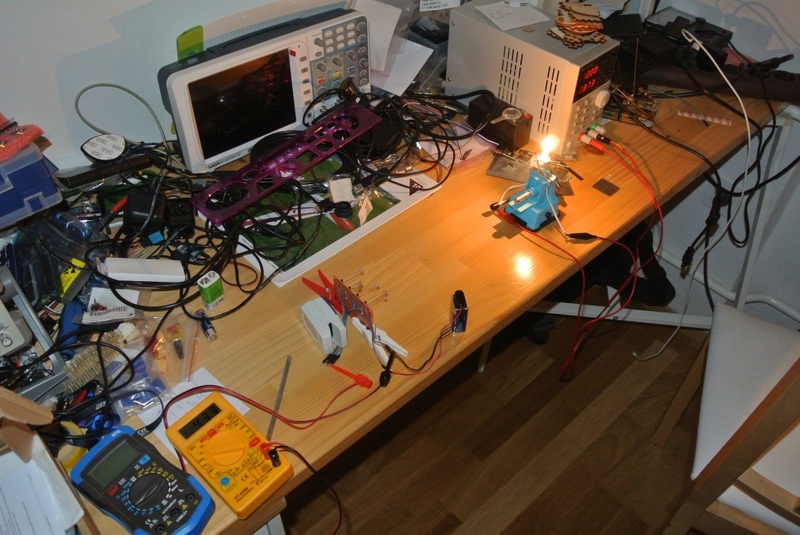 This was done for several voltages on the lamp to get different light levels. 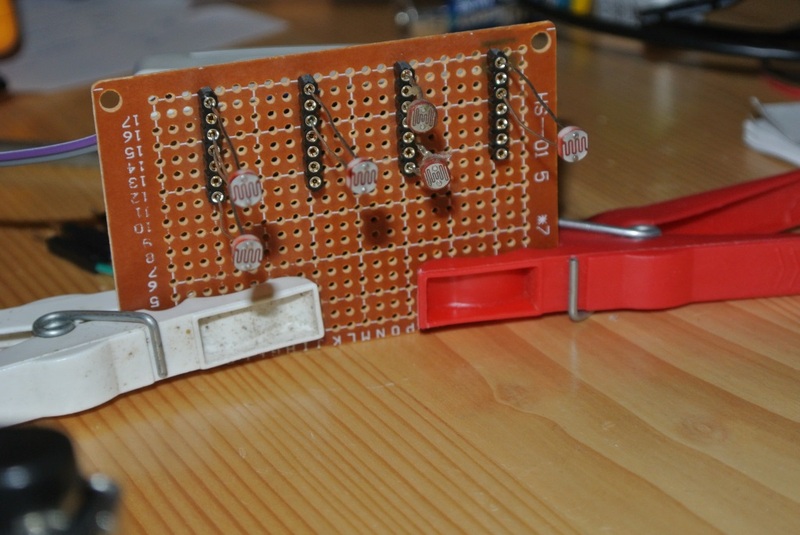 From the measurements it is easy to see that the photoresistors A and C seem to be good match. A and C were mounted in the fixture for measuring the balance between the two. 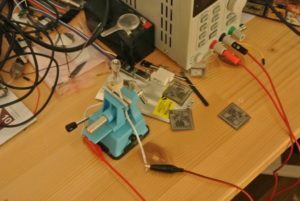 Also the photoresistors that were initially removed from the device were mounted in balance measuring mode just for a test. 9V block battery was used to power the sensors and a multimeter was used to make voltage readings. 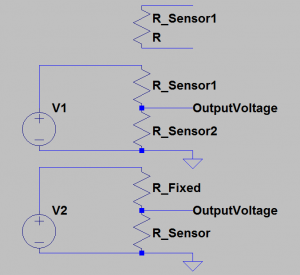 For a nicely balanced sensors the output should be around 4.5V (supply voltage / 2) and the output should not change much with changing light conditions, provided that the sensors are equally lit. 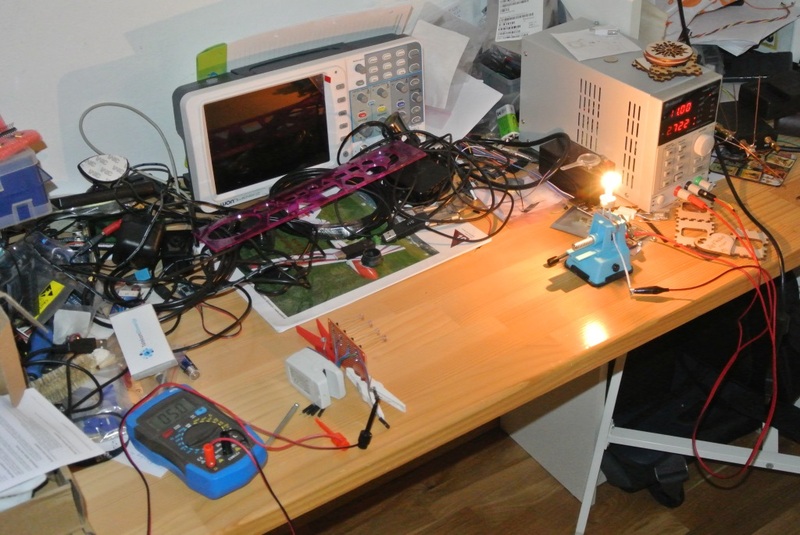 Voltage on the PSU was varied to make measurements at different light levels. 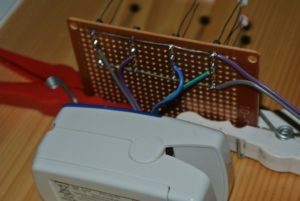 The matched photoresistors really seem to work nice in tandem – much better than the old bridge I would like to replace. Still have to mount them in the circuit and see if that will make the sun tracker functional again.